Smart, white-coated dog, with proud head carriage. The skull is gently rounded viewed from the front and sides but never domed or appleheaded. Stop well defined. Muzzle broad, not snipey. Slightly shorter from nose to stop than from stop to occiput. Muzzle never shorter than in the ratio of 1:2. Nose black. Oval, not bulging, dark brown, black eye rims, with dark haloes. Long, well feathered, hanging close to head; hair to mingle with coat at shoulders. Jaws strong, with perfect, regular and complete scissor bite, i.e. upper teeth closely overlapping lower teeth and set square to the jaws. Teeth even. Legs short and straight. Shoulders well sloped. Well balanced, essentially short and cobby. Good spring of rib, back level from withers to tail. Feathered, carried well arched over back. Straight and free-flowing, without weaving. Viewed from behind, legs should neither be too close nor too wide apart. Reasonable length, never impeding action, straight, of silky texture, never woolly. Never crimped and without woolly undercoat. Pure white, but slight lemon markings permissible. Thanks again for the visit, and for the information regarding the breed. Great advice and something we have never experienced before is that we actually got to see the parents! At best other breeders have only let us see photos of the parents, and we had no idea if they were recent of not. Plus photo's are always taken when the dog looks it's very best. We got to see the parents in your home, up close, watch them play and interact with us. What a fantastic way to see in person the traits our new baby is going to get. Had to write again. We love the fact that you are breeding for particular traits particularly a shorter snout. This gives the puppies what I refer to as a "Baby Doll" face. 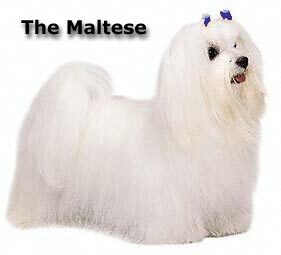 I love this look and based on your breeding standards all of our puppies should have this trait!